From the first reported UK outbreak at the Royal Brompton Hospital a year ago, new cases of Candida auris have been detected in 20 UK hospitals and a further 35 hospitals have received patients with a history of C. auris infection. The Rosco Neo-Sensitabs fluconazole disc provides a simple screening test for fluconazole resistance. Stable at room temperature, easy to apply and, at around 15p per disc, inexpensive. 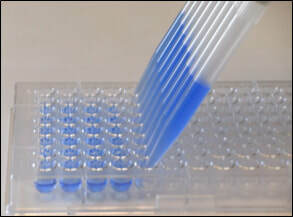 It is recommended that broth micro dilution is used to perform antifungal susceptibility testing of yeasts and moulds.